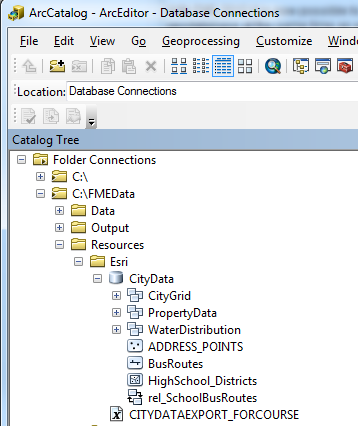 The Geodatabase writer parameter "Template File" lets you use an Esri XML workspace document to generate a complete Geodatabase at the same time as it writes features to some of the feature classes. This allows you to copy domain and subtype definitions, relationships and network information and annotation symbols from one Geodatabase to another. It also allows you to build feature datasets and feature classes but only write features to a selected few of these. 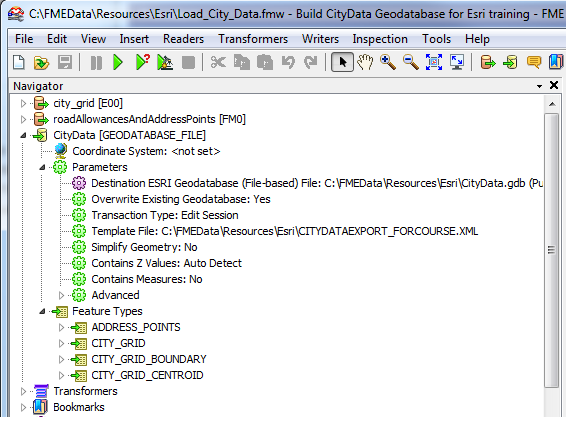 ... which only writes to the City Grid Feature Dataset and the ADDRESS_POINTS feature class.